From La Sportiva, "The Batura 2.0 GTX uses cutting edge proprietary two layer Gore® technology to create a boot that is warmer and more breathable for technical routes in the mountains. An integrated external gaiter with an asymmetrical zipper uses stretch Gore® technology to keep you dry while the inner boot uses another Gore® layer to allow moisture transport to the outer layer creating the ideal climate for your feet in cold conditions. 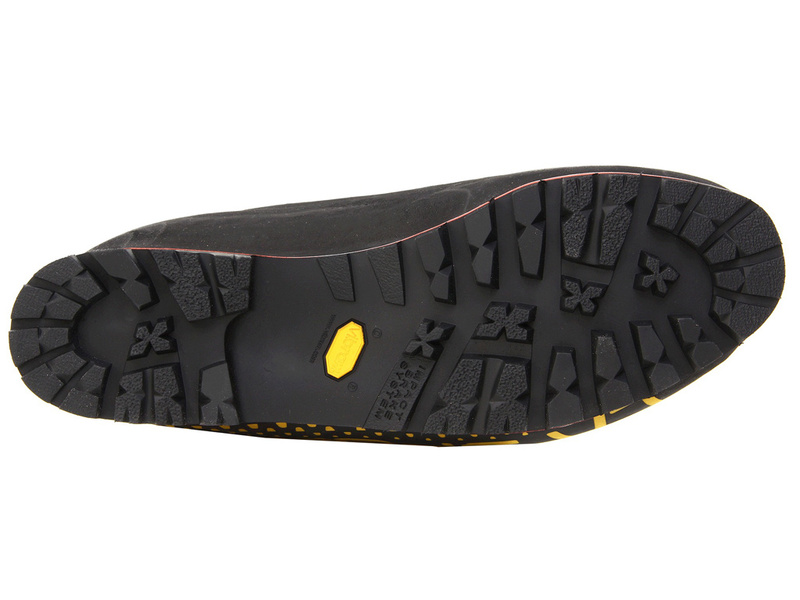 The low profile upper construction and reduced midsole profile allow the boot to climb better with or without crampons. A stiff honeycomb carbon insole supports the foot and creates an air chamber for better insulation and rigid performance when front pointing or edging on rock. This boot takes the whole game to another level for alpinists." My main cold weather mountaineering boot has been the La Sportiva Batura EVO. My only quarrel with that boot is the lack of a waterproof/breathable membrane. My feet inevitably sweat and that makes the Batura EVOs less than ideal for multi-day climbs. When La Sportiva came out with the updated Batura 2.0 GTX I knew I had to try a pair. The first thing I noticed was how much lighter the Batura 2.0 GTX boots felt. They are 5 ounces lighter per boot in size 45 than the old Batura EVO's. That's pretty significant when you are putting on some mileage and elevation. 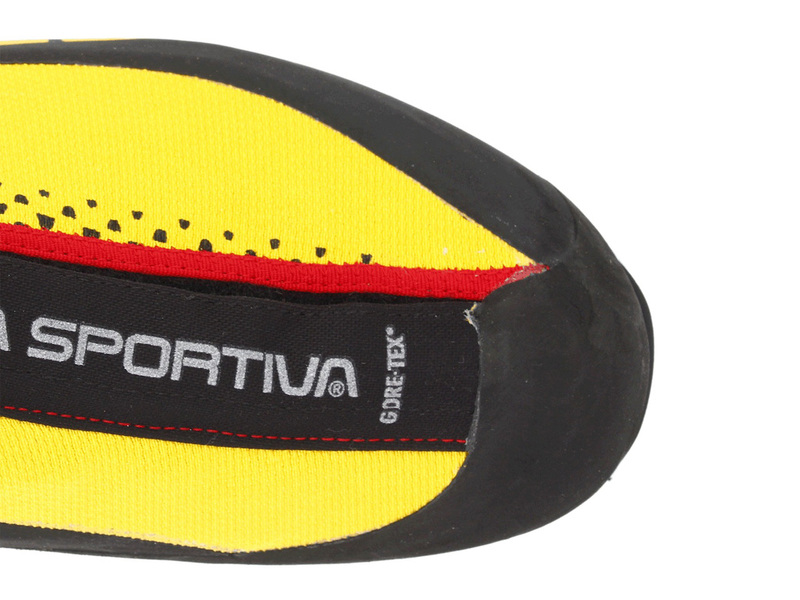 They are a little narrower towards the top of the boot, which is probably one area La Sportiva was able to shave off some weight. I also noticed the rubber rand around the boot is of a softer composition than the old Batura EVO's. I am guessing that shaves off a little weight as well, but hopefully it does not sacrifice durability. There are a couple changes to the inner boot on the new Batura 2.0 GTX model. The first is the Gor-Tex® lining which comes nearly all the way to the top of the boot. As a result the tongue is not free-floating like the old Batura EVO's. If fact, it is quite a bit narrower at the top where the tongue is free floating (approximately 3/4"). The top of the new tongue is more padded and I find the overall feel of the new Batura 2.0 GTX boots more comfortable (I also find the old Batura EVO's comfortable to begin with). The fit and stiffness feels the same between the two boots, but the addition of the Gor-Tex® lining should make the new Batura 2.0 GTX boots more comfortable on longer climbs. Another change to the inner boot is the lace lock on the fifth pair of eyelets (both models have 8 pairs of "eyelets"). The new lace lock uses pivoting teeth to grab and securely hold the laces in place. I find it easier to engage and disengage than the old version, which simply compressed the lace between a piece of plastic and metal bail (although both work just fine). The biggest change to the integrated gaiter on the new Batura 2.0 GTX mountaineering boots is that it now features a laminated Gor-Tex® stretch membrane. This should really help the whole boot system move moisture away from the feet, keeping the user warmer and more comfortable. The Gor-Tex® stretch membrane does have some stretch to it, but not nearly as much as the gaiter on the old Batura EVO's. It shouldn't matter and the Gor-Tex® feels more durable. The Gor-Tex® laminate stops short of the top of the gaiters where there is a stretchier neoprene like material that continues to the top. 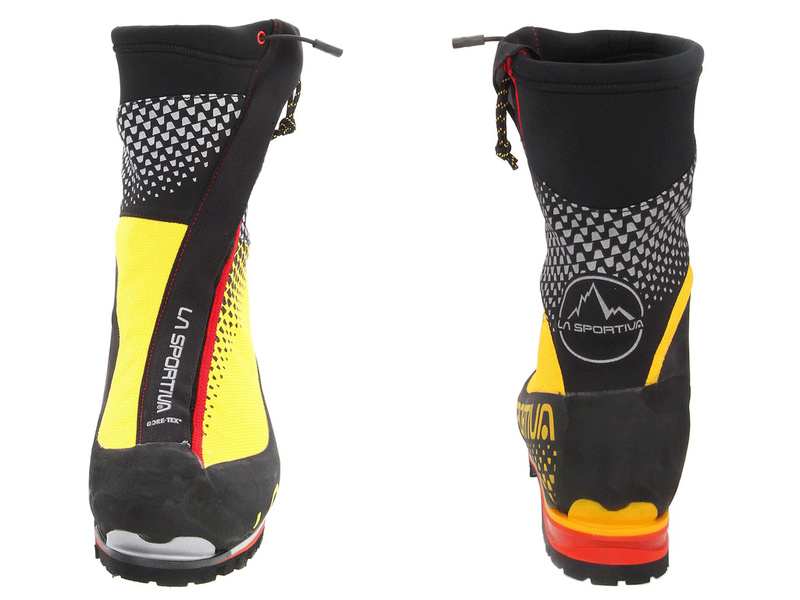 The other major change to the gaiter on the new Batura 2.0 GTX boots is the zipper. It is still asymmetrical, but now uses Velcro® to make it waterproof versus the integrated waterproof zipper on the old Batura EVO's. I like the old waterproof zipper better because it is quicker to use. The new one requires the user to first zip the boots than carefully line up and seal the Velcro®. This two step process takes more time, but shouldn't be that big of a deal unless you like to constantly readjust your boots. 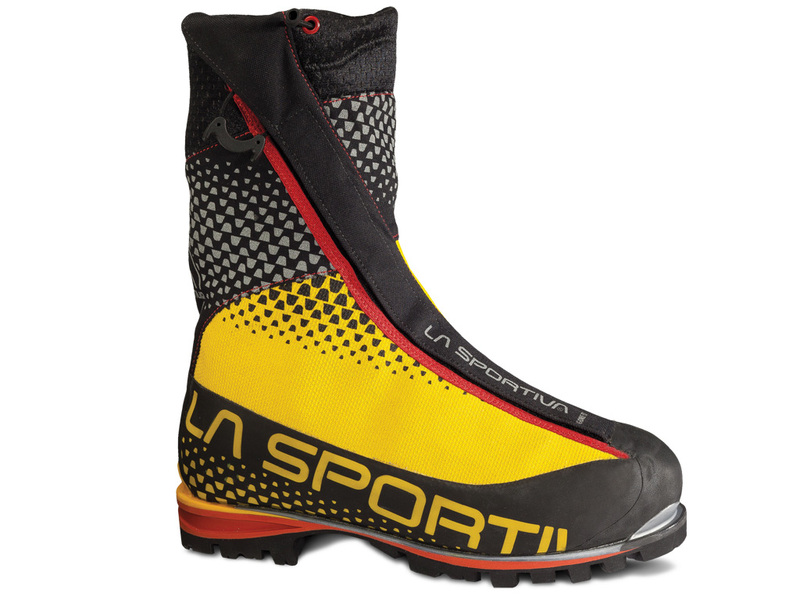 La Sportiva moved the cord lock for cinching the gaiters on the Batura 2.0 GTX. It is now internal, integrated in the cuff of the gaiters. It is just as easy to use as when it was external. My guess is they moved it to keep ice from clogging it up. The soles are exactly the same on the new and old models. 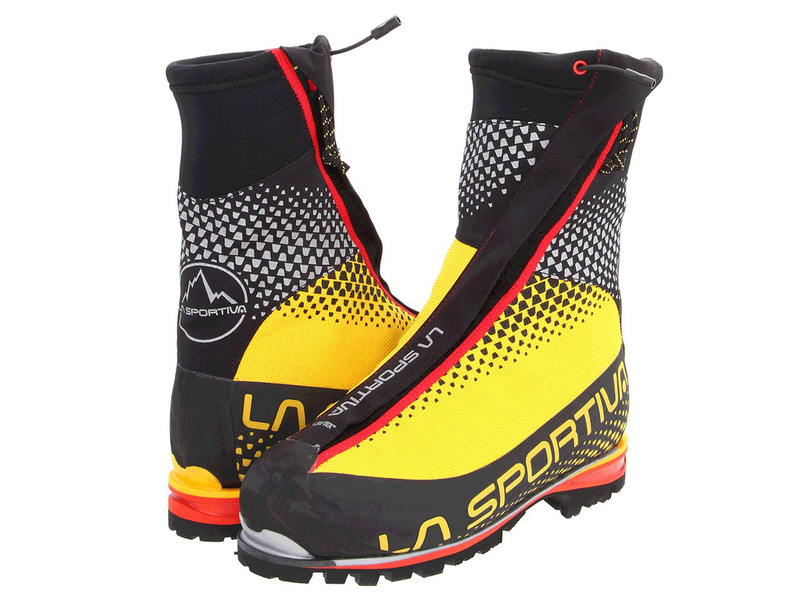 The graphics are slightly different with La Sportiva doing away with the large mountain on the side of the boots (there is a small mountain on the back). They still look great, but I miss the large mountain. 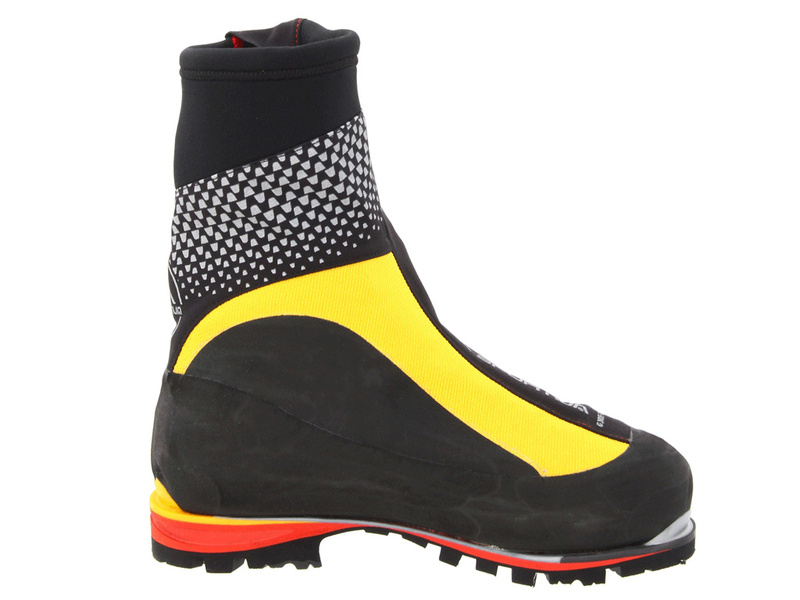 I am excited to test out the new La Sportiva Batura 2.0 GTX mountaineering boots. They should prove even warmer and more comfortable than the old Batura EVO's. They are spendy at $650 MSRP, but luckily I was able to pick them up on sale for almost two hundred dollars off. Unfortunately I tore the medial meniscus in my left knee shortly after buying the La Sportiva Batura 2.0 GTX boots. I wasn't able to climb until June of the next year. When I finally hit the local mountain (Mt Hood), I was excited to put on my Batura 2.0 GTX boots. The temperature started off above freezing, but cooled into the 20's as I climbed. My feet always get cold, which is why I usually use a more insulated boot than most people would for comparable mountains and conditions. I also normally climb with battery heated insoles. On this trip I found the La Sportiva Batura 2.0 GTX mountaineering boots provided adequate insulation. My toes only had a hint of being cold, while I was not moving for about 30 minutes close to the summit. My heated insoles quickly took care of the problem. I still feel that the Batura 2.0 GTX boots are slightly warmer than the old Baturas. As far as comfort, the Batura 2.0 GTX boots proved to be just as comfortable as the old model and probably slightly more comfortable. They climb great and the stiffness is not a problem on long approaches. My biggest attraction to the new Batura 2.0 is the Goretex® membrane since my perpetually cold feet also perpetually sweat. I found the Goretex® did help cut down on the moisture in the boots. I also found the area under the integrated gaiter to be completely dry. On the old Baturas I often found this area damp. I only have two minor issues with the La Sportiva Batura 2.0 GTX boots. The first is the shock cord and cord lock that are integrated into the gaiters seem to not be beefy enough to really cinch them tight. They are adequate, but I would opt for a little beefier combo. The other issue I have is with the Velcro® closure of the integrated gaiter. While it works fine, I prefer the waterproof zipper design on the old Baturas. It was quicker then the Velcro®. These are both minor setbacks and I still feel the La Sportiva Batura 2.0 GTX is an worthy upgrade over the previous Batura model. See Mt Hood Pearly Gates adventure where the La Sportiva Batura 2.0 GTX Mountaineering Boots were used. I was just wonder if it would be a good idea to use the Batura 2.0 on longer expedition to summits such as Denali or Aconcagua? It is not a double boots but warm enough for the 6000m. However, our feet tend to perspire and would that become a problem? For me, they would not work. But I have poor circulation, so my feet get cold very easily and very quickly. I supplement all my winter boots with heated insoles. Every person is different. I can't say whether or not the Batura 2.0's would work for you. The best i can offer is to try them out on an easier climb. They are great boots. Good luck.